How many of you are like me and almost never, OK never, have fresh oregano on hand? Well, that should change, like today! Go out and buy yourself some fresh figs, fresh oregano, and a really good loaf of sourdough and make this for dinner. Welcome back to the Whole Resolution wellness series where I interview inspiring women in the wellness field! They share knowledge and offer simple ways for improving our well-being in everyday life so that by the end of the month these combined perspectives will have painted a vision of whole wellness and equipped us with tools to use as we focus on the ‘whole self’ in 2014. And a quick note to all of you reading and following along. This is a truly special series with very special guests. Your interest in and support of whole nourishment inspired me to create this series. So a big thank you to all you for following and helping to make this possible! If you missed the first interview of the series, you will definitely want to go back to last week and read my interview with Milena, the woman behind Just the Goods, an all-natural Canadian-based skincare line. And get ready because this week Tammy is helping us feel empowered to effectively manage our thoughts and emotions so that we can create the life we want! Tammy is a British expat living in St. Gallen, Switzerland. 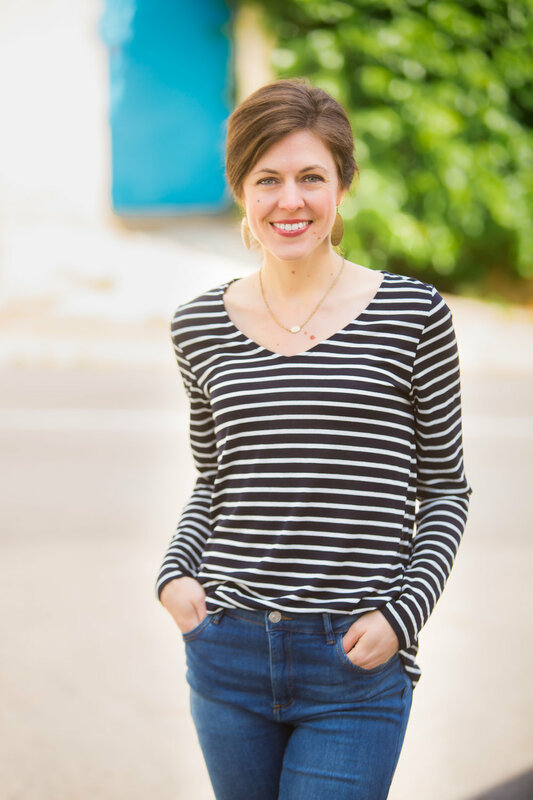 She runs a private practice as a Three Principles practitioner (more on that later) where she offers coaching and consulting services in person and by phone/Skype for parents looking to overcome stress and anxiety in their relationship with their children. You can learn more about her business, Furey Coaching, on her website or follow her blog. Tammy and I met soon after I moved to St. Gallen, and we instantly bonded over lively conversation where we discovered common views in holistic living and natural foods. Through our friendship, I have seen first-hand that the principles Tammy uses to guide her coaching practice also guide her personal life. She has a calm, centered presence and brings emotional intelligence and compassionate, witty, expansive perspectives that have enriched so many of our conversations. My mom was right (of course! ), our minds are very powerful. And Tammy equips her clients, readers of her blog, and really anyone open enough to listen with an understanding and awareness of how we react to situations and tools for tweaking our reactions to obtain a more peaceful and stress-free environment with ourselves and our loves ones. I am beyond delighted Tammy is participating in this wellness series because whether you have children or not her stories, musings, and insights are invaluable for understanding the true source of our stress, fears, and anxieties and for learning how to achieve a healthier emotional state of being. Please treat yourself today to some peaceful, uninterrupted “you” time where you can relax and enjoy reading my interview with Tammy. You cite "Three Principles" that guide your work as a parenting coach: Mind, Consciousness, and Thought. Can you briefly explain what these mean and how they apply in your work? The 3 Principles are a way of understanding how we create the life we live, with all its stresses, strains, anxieties and even meltdowns! Moment by moment Thoughts go through our minds, it is a simple fact of living! Our Consciousness (others may call this “awareness” or simply that we are alive and know that we are alive) takes these thoughts and gives us a full experience of that Thought. “Mind” is our connection to the ‘greater mind’ of the world, to each other, and ultimately a greater power that many refer to as God. Imagine that you are sitting in a movie theatre. “Thoughts” are the reel of movie film. “Consciousness” is the movie projector that projects the movie onto the screen for us to enjoy. Or not enjoy! “Mind” is the power cable that plugs into the electricity to make everything work. Will our thinking create the experience of a comedy or a tragedy? Have you ever scared yourself with your own thinking? I bet that you have; and more times than you may be aware of. How do these help improve the health and well-being of your clients’ lives? If your Consciousness is creating all of your experiences based on your own Thinking, there are profound implications. It means that we are all living from the inside out, NOT the outside in. The outside world has no power to make us feel good or bad, happy, stressed or depressed. We are the creators of our worlds. Clients who catch even a glimpse of this understanding find that once they understand where their health and wellbeing comes from (themselves) they finally can experience the changes they have been chasing for so long. Though you work specifically with parents, these Principles seem relevant to anyone who is working on their consciousness and thought patterns towards improving their emotional wellness and relationships. How do you see emotional and relationship health contributing to whole wellness? Yes, it is everything! The secret though is that we always have emotional health; we just think our way out of it. Once we see the role of thought, we are free. I have clients who are experiencing difficult relationships, either with their partners, children or both! As long as they believe that their emotional health is the responsibly of another they will continue to experience the rollercoaster of emotional health. They will try to change the other person and take personally all comments and behaviors that the other person displays. Everyone is trapped in their thinking, and this includes our partners and children. They are innocently believing what they think and acting accordingly. Oh healer, heal thyself! I can only laugh at myself! When I get caught up in my thinking, I really start to believe that my circumstances are causing my stress, and I try to make changes to lower my stress levels. Then I wake up and realize it is my thinking (again!) that I have innocently believed that is causing my stress, not the outside world. When I realize this, I need less and less time to be attentive towards my own wellbeing, as this is my natural state. Aspirations easily fall to the wayside as the realities of our home life and work life bring a steady stream of unforeseen challenges. hat tactics help a person improve emotional health, in spite of facing real challenges? Remember that no-one has the power to “make” you feel bad. This goes for challenges as well. What most of my clients used to do, when seeing a challenge in their lives, is to create a story about what that challenge would mean for their lives. They would then believe this story, embellish it, and watch their emotional health go downhill. With an understanding of the Principles, they can see that the stress is not coming from the challenge, but the story that they have created about the challenge. They don’t need to make a “better” story, or a more “positive” story, they see straight through the stories to the reality of life. It is then clients discover that their very nature IS emotional health; it’s simply that their thinking was clouding this. How do you find that meals play a role in refreshing wellness during the day? No amount of thinking is going to get me out of trouble when my blood sugar heads south and I try to bite everyone’s head off! For me, keeping an even keel with food contributes towards my well-being. In the past, I have used my thinking about my food to beat myself with (“oooh! That was a bad thing to eat!”), but now I try to let it go and look forward to the next delicious meal. Is there a favorite meal or snack you find especially nourishing? When I was a teenager, I was touring the Universities in England that interested me. There was a tiny little whole food restaurant I stumbled upon in an ancient Victoria shopping arcade. I was given a little wooden bowl and it was filled with brown rice, with cottage cheese on top, with a generous sprinkle of roasted chopped nuts. It has been my go-to comfort food ever since, and MUST be served in a tiny, gorgeous bowl. Now that is a thought that makes me hungry! Where’s my bowl? How do you manage your stress and anxiety? Tammy explained how our thoughts affect our health and well-being…..did this resonate with you? What do you think of this brown rice bowl? Leave your thoughts and questions for us in the comments below!